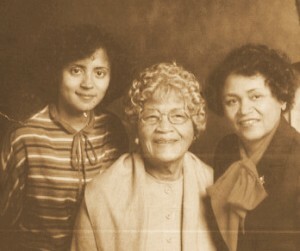 Tonight, Cecilia Conrad joins us from Pomona College to deliver the Fifth Annual Two Icons Lecture on Race and Gender: “My Grandmother, My Mother and Me: Trends in the Economic Status of Black Women.” For those of you who can’t make it, the lecture will be live-streaming at http://www.rochester.edu/news/live starting at 5:30 tonight! This is the first lecture that SBAI has streamed live, and we are excited to be able to offer access to this lecture for people that can’t make it in person. Cecilia A. Conrad, Ph.D. is Acting President and Stedman-Sumner Professor of Economics at Pomona College. She served as Vice President for Academic Affairs and Dean of the College from July 2009-September 2012. Before her appointment as Vice President, she was the interim Vice President and Dean of the Faculty at Scripps College (2007-2009) and Associate Dean of Pomona College (2004-2007). She joined the faculty at Pomona in 1995. As Associate Dean and Dean at Pomona College, Dr. Conrad has championed the College’s summer undergraduate research program, led conversations regarding the value and assessment of a liberal arts college education, and worked collaboratively with the Dean of Students and academic departments to improve the campus climate for diversity. She has also served a leadership role within the Claremont College Consortium. Dr. Conrad is the editor of The Review of Black Political Economy and a member of the editorial board of Feminist Economics. She is serving her second term on the AEA Committee on the Status of Women in the Economics Profession and is a past member of the AEA Committee on Economic Education. She is a past president of the National Economic Association and of the International Association for Feminist Economics. She was recently elected to the board of the Western Economic Association International. She chaired the economics experts committee for OECD’s Assessment of Higher Education Learning Outcomes. The Two Icons Lecture is presented annually by the Susan B. Anthony Institute for Gender and Women’s Studies and the Frederick Douglass Institute for African and African-American Studies to honor the legacies of their name sakes and to call attention to issues at the intersections of race and gender. The event is free and open to the public. This entry was posted in SBAI Events and tagged #fdi, #frederickdouglass, #gender, #race, #SusanBAnthony, #twoicons. Bookmark the permalink.